Next Monday, October 1st is National Coffee Day – why not celebrate by adding something extra treat-worthy to your coffee with this luxurious Baileys-infused cold brew, from the Baileys Treat Collective? Created by top barista Celeste Wong, aka The Girl In The Cafe, with Oonagh Simm’s ‘The Marshmallowist’ marshmallows, the creation is the most indulgent way to enjoy the day. 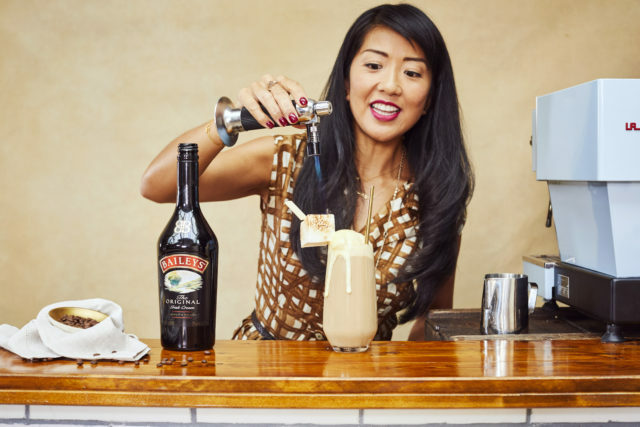 The stylish combination marries rich, dark coffee infused with the delicious creamy texture of Baileys, topped with ice cream, lashings of caramel and finished with a sumptuous marshmallow, for a truly indulgent twist on a cold brew this National Coffee Day.